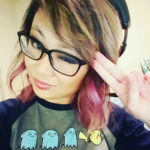 SeriouslyClara is a Twitch content creator who focuses on indie games. After being "tricked" into streaming by a friend, she came to love the community and the support they offered her in response to her honesty and authenticity. She now streams to her channel’s 22,000 subscribers several times a week, where she plays indie titles and promotes mental health awareness and body positivity. She recently spoke on the PAX West 2016 panel " So You Think Twitch Isn’t For You? Guess Again" and attended the second-ever TwitchCon. This week, Clara and Ken talk about their mutual love for Owlboy and Skies of Arcadia; the tradeoff of playing triple-A games for a large audience instead of playing indie games for a more intimate crowd; the differences in performing for a live audience on Twitch vs. a delayed audience on YouTube; the challenges of being an introvert in the gaming community; and the societal expectations thwarted by living a childfree lifestyle.